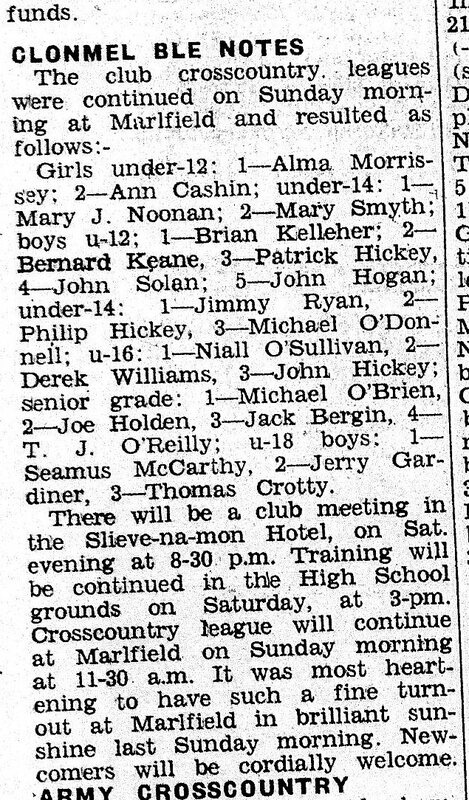 The Club is currently compiling a History of the Club and here are some clippings from the 1970s. 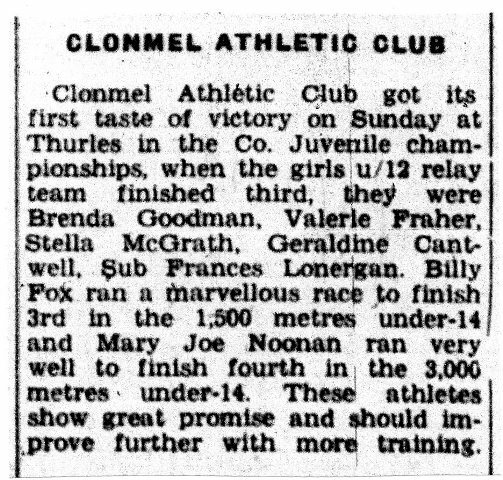 Indeed the sport is very grateful to the Clonmel Nationalist in Clonmel and the Tipperary Star in Thurles for the brilliant coverage they have given athletics down throughout the years. 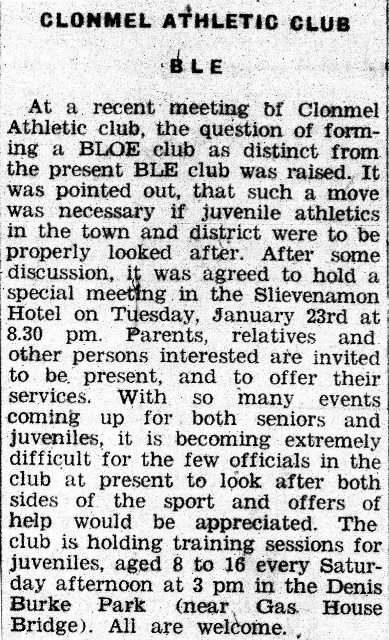 Such exposure has helped immensely in promoting the Sport at both local and County level.Clonmel BLE Club looked after both Senior and Juvenile athleteswhile there were two distinct bodies looking after the Sport at County, Munster and national level. they were BLE for Senior and BLOE for Juveniles. 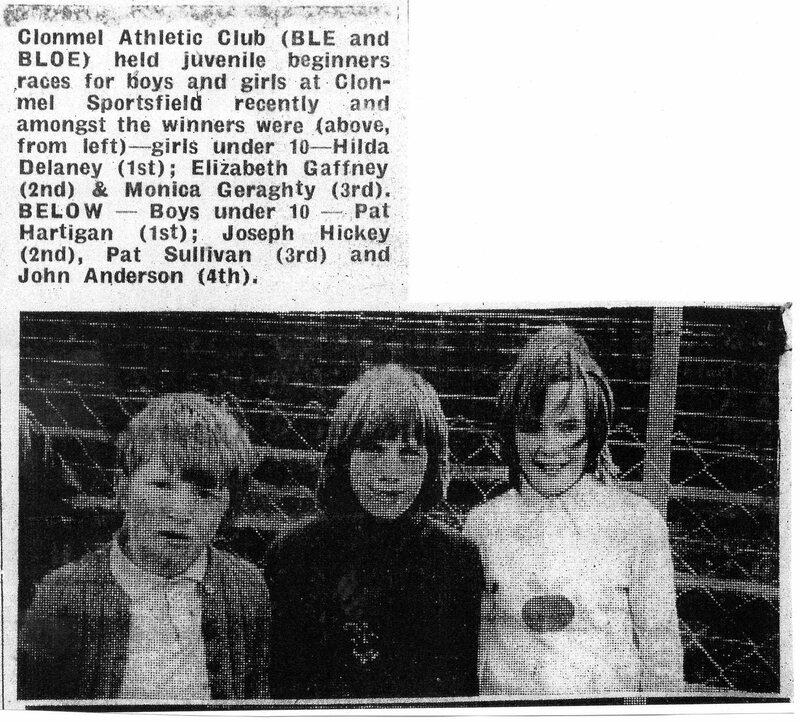 here is a report on one of the Club’s first achievements by its juvenile member.